The Arrow will switch to stereo on DAB digital radio in London next week following changes that will see Gold's DAB frequency change. According to information released by Ofcom, Gold will move from the London II multiplex on Sunday to the London I multiplex, to the same DAB frequency as Capital and Kiss Fresh, taking over the bandwidth previously allocated to XFM. DAB listeners to Gold in London will need to adjust any presets on their radio to reflect the change. The bitrate of Gold will increase from 112kbps to 128kbps. The Arrow will take Gold's former capacity on London II and switch from mono to stereo. LBC News, a simulcast of the AM service from LBC, will have its bitrate improved from 48kbps to 64kbps at the same time. DAB digital radios should automatically detect changes in the background. Here's a quick way of getting back Gold without having to retune your set, which works in most cases - You don't need to know any frequencies or tuning information. 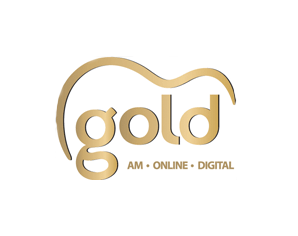 Once Gold changes DAB frequency on the 27th September, listeners just need to go to Kiss Fresh on DAB, which is broadcast on the same frequency that Gold will be broadcast on, wait a few moments and the new version of Gold will be available in the radio's alphabetical list of stations. You can then reset your presets accordingly, based on the instructions supplied with your DAB radio. Gold will enjoy a slightly better coverage in the north of the area: the London I multiplex has a marginally stronger signal into parts of southern Bedfordshire. More information about retuning DAB digital radio, especially if your device doesn't support the method listed above, and more information about the stations available in your area can be found on the Get Digital Radio website. At last nice to see a station going from Mono to Stereo, usually its the other way around.